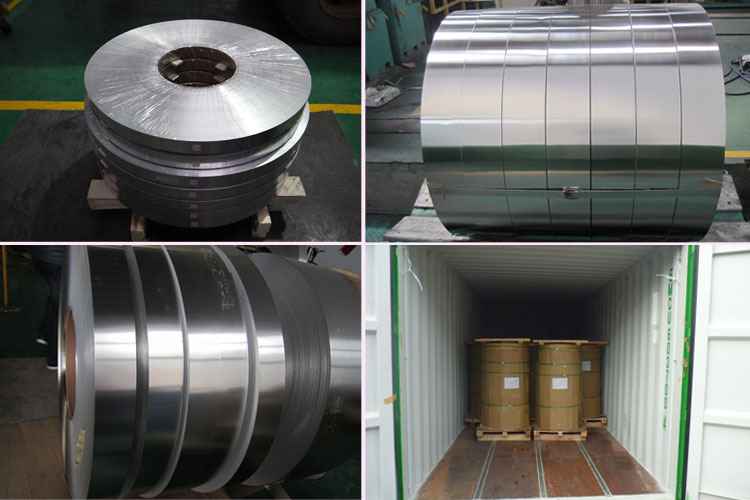 3104 aluminum strip(AL-Mn) belongs to modification aluminum alloy strip, the temper including H111 / 0 / H14 / H16 / H18 / H34, etc. The maximum tensile strength can be controlled equal or at greater than 275MPA, elongation up to 20%. 3104 aluminum strip has good deep-drawing property, which is suitable for thinning the tensile lightweight materials to reduce the quantity of material. The procedure of tank process has strict requirements. In order to obtain high-quality billets, From the beginning of hot-rolled, cold-rolled to finishing workshop, each process is strictly controlled by our company and more attention is paid to control the thickness of the plate, the surface, mechanical properties and anisotropy, so as to make products obtain appropriate strength and formability.